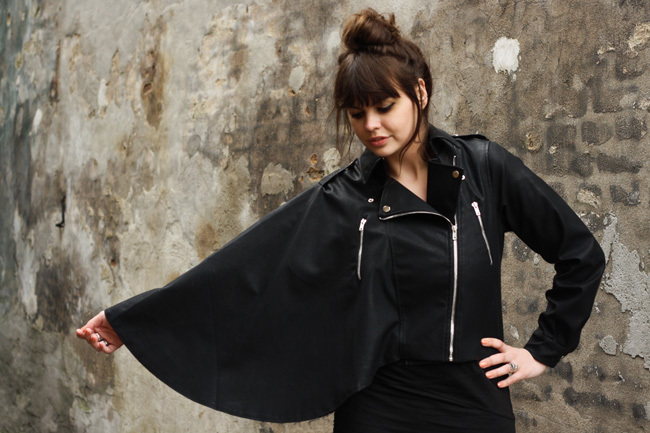 Do you love this amazing cape biker jacket from Shampalove as much as I do? Then now it is your chance to win the exact same jacket because Shampalove is letting me giveaway one! 1) Like Shampalove on Facebook. 2) Follow Fashionzen on Twitter and like Fashionzenvintage on Facebook. 3) Leave a comment here with your emailaddress and facebookname so I can contact you if you are one of the winners. The giveaway is open for national and international readers. You have until Friday the 16th of March to enter this giveaway. Good luck!